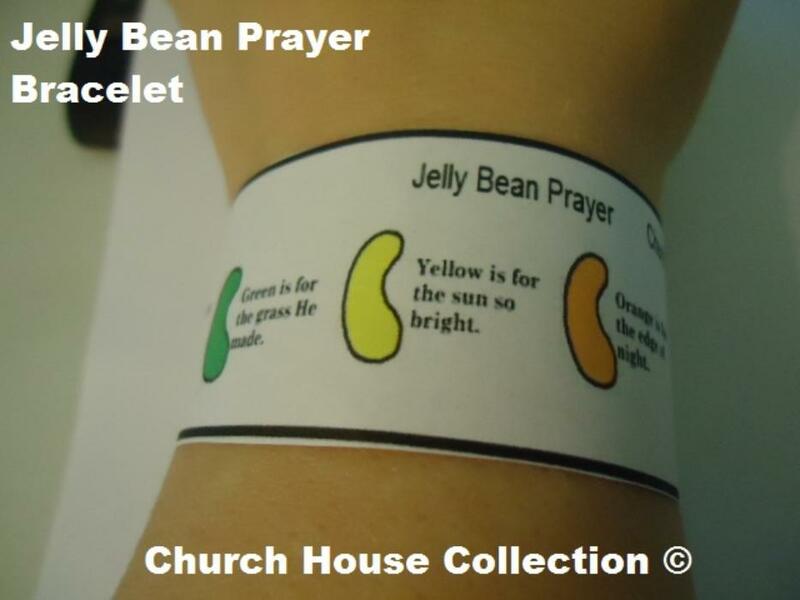 Print the Jelly Bean Prayer bracelet template out. You could print on card stock or regular printing paper. I just used regular printing paper for the one in the photo. They WILL NOT hold up very long if you use regular printing paper. I highly suggest you use card stock if you want them to last longer for the kids. Have the child cut it out the bracelet. If the bracelet needs to be lengthened then add a small strip of paper to connect it. Then tape it together on the child's wrist. When they want to take it off just have them cut the tape. 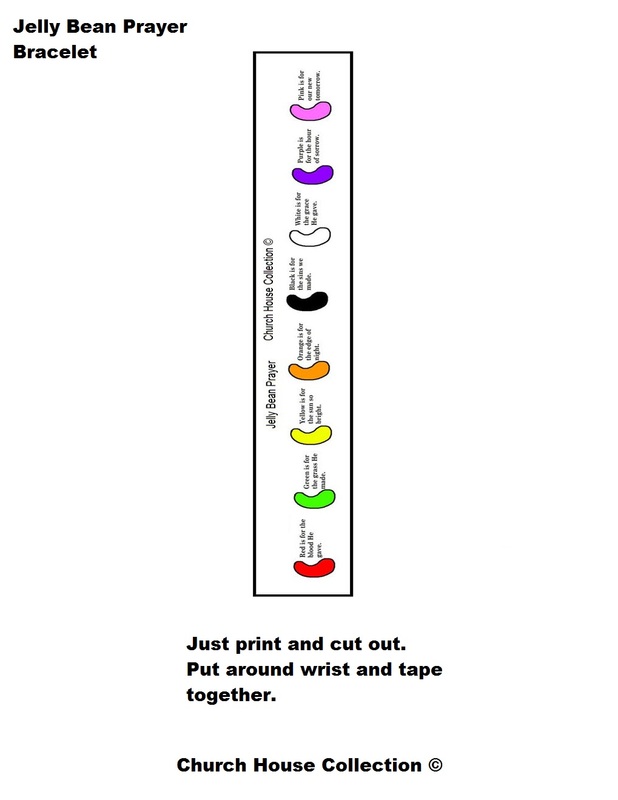 If you wanted to keep the bracelet then you could always laminate it so your child could re wear it if they wanted.